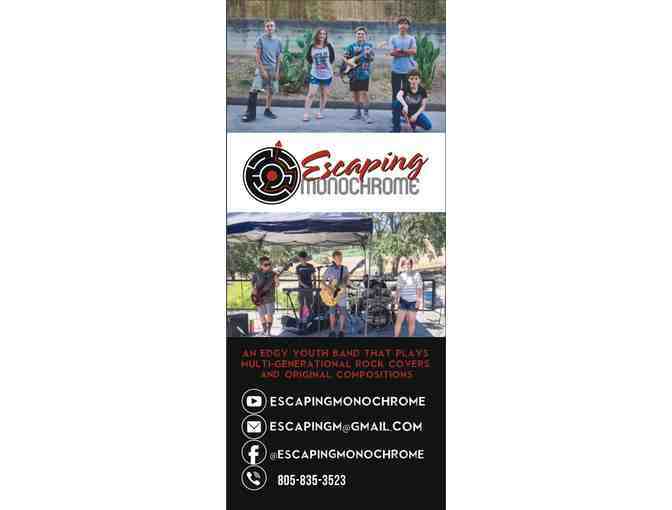 Escaping Monochrome from Templeton, CA is comprised of five multi-instrumental 8th and 9th grade musicians. A local favorite, EM plays at a variety of venues, including farmer’s markets, wineries and large scale community festivals throughout San Luis Obispo County. 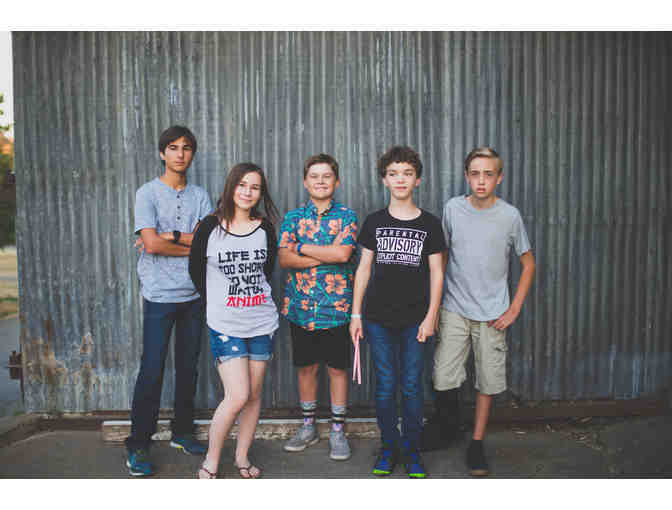 Their broad musical repertoire includes original compositions like “Mutual Respect” and “Battle Scars” and covers of the whole spectrum of rock music, from Coldplay and The Black Keys to Red Hot Chili Peppers and Green Day. *Redeemable in SLO County only and expires March 31, 2019.